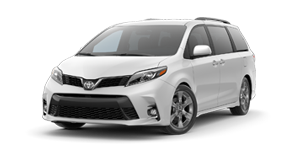 Arrive in style in the redesigned 2018 Toyota Sienna. Showing off a modern new look with aggressive styling and bold lines, you'll turn heads everywhere you go while having fun at the same time thanks to the potent V6 engine. Inside the versatile interior, the entire family will appreciate the premium comforts and numerous technology features delivering endless entertainment and connectivity no matter where the road leads you. 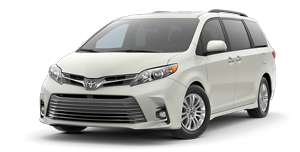 You can also leave you cares behind and focus on the road ahead courtesy of the advanced safety technologies like the Star Safety System™ and Toyota Safety Sense™ P (TSS-P) protecting your precious cargo on the go. It's time to gather the family, pile in and hit the road for your next great adventure. Come experience more for yourself when you test-drive a 2018 Toyota Sienna in Johnson City, TN, at Johnson City Toyota, also serving customers from Bristol and Kingsport, TN. 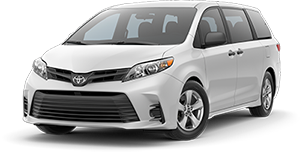 When your 2018 Toyota Sienna needs maintenance or repairs, look no further than our service department where our professionally-trained technicians are equipped to handle all your service needs. Whether you need a simple oil change or major repairs, you can trust the quality service you'll receive here at our dealership. If you'd like to purchase or lease the 2018 Toyota Sienna in Johnson City, TN, stop by Johnson City Toyota at 3124 Bristol Highway, Johnson City, TN 37601 for a test-drive today. We look forward to serving our customers from Johnson City, TN, and throughout Bristol and Kingsport, TN.